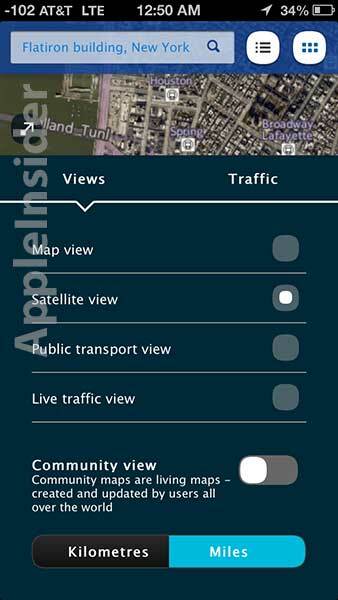 Nokia's dedicated 'Here' maps app hits the iOS App Store. Here is available now for iOS as a free download from the App Store. Today Nokia launched the free app with offline caching and voice-guided walking directions by bringing its new "Here" mapping service to iOS. 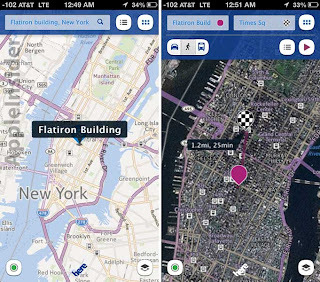 Nokia's new "Here" mapping app offers walking and public transit directions. First spotted by The Next Web, "Here" the app available for iPhones, iPads and iPods. 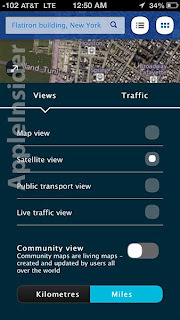 According to Nokia, the HTML5-based maps includes offline capabilities and, unlike Apple's own Maps app, voice-guided walk navigation, and public transportation directions. "Maps are hard to get right - but location is revolutionizing how we use technology to engage with the real world," said Nokia's Executive Vice President of Location & Commerce Michael Halbherr, who is responsible for Here. "That's why we have been investing and will continue to invest in building the world's most powerful location offering, one that is unlike anything in the market today." The Finnish company also noted that future updates will come with 3D capabilities akin to Apple and Google's solutions, which will come from technology acquired by earthmine. Nokia is rolling out the mapping service on its Microsoft Windows Phone handsets as well as versions for Google's Android and Mozilla's Firefox OS. Here are the full release notes of the app.